I’ll admit to you, readers, that I was disappointed by this book for one reason, and one reason only: I tried to speed-read through it because my review queue was so long, and was unable to do so. The stories in this collection are so myriad in setting and tone, so compelling, that I had to stop and read through at a slower pace, enjoying and absorbing each tale. This collection spans multiple worlds of Elliott’s (plus some non-fiction which is equally fascinating): some stories are stand-alone, some take place in already-created sci fi or fantasy worlds already in the Elliott canon. All feature women as central (or at least essentially pivotal) characters, without every story being about feminist preaching, which is important in itself. The focus in all of them is on the story, driven by well-drawn characters. All these characters are rich, flawed, engaging, and in every single story the reader wants to know what happens next (hence my inability to speed-read). It’s no easy feat to accomplish rich world-building in such a short form as the short story, but Elliott nails it in each and every one. And one doesn’t have to be familiar with her work to enjoy this collection, though I daresay I’m going to go out to my nearest bookstore and find more by her after having read this. There is no orbiting outside this collection: it’s an absorbing read, for anyone who enjoys sci fi, fantasy, blending of the two, excellent characters, Elliot’s previous work, or dang good storytelling. Or all of the above. Bottom Line: I highly recommend this Best of collection. 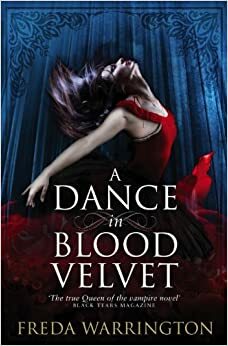 The re-publishing of Warrington’s lush vampire epic continues with A Dance in Blood Velvet–a story that takes place after They Lived Happily Ever After. Because hey, vampires really do have literally the opportunity to do so. However, as former humans with every human foible still intact, it’s not so simple. Relationships become tautly intertwined as Karl’s former companions reawaken and challenge what Charlotte has found and begun with her new life as a vampire. Charlotte herself is learning what sort of a vampire she is becoming as well as dealing with searing jeolousy which finds manifestation (or retaliation?) in her obsession with a ballerina. Ian Healy has delivered again in this next installment of superhero novels in the Just Cause universe. As I have written before, I have and continue to enjoy Healy’s ability to embody the coming-of-age voice, as well as the voice of the “regular Joe,” whether they are superpowered or not. (Sorry, “parahuman” is the correct term in his universe.) In Jackrabbit, though, we run into a new kind of parahuman–that of the Herald. The cheeky rabbit god and his buddy the frog god run into a new, insectile god in God’s Land–and it is revealed that this new god isn’t one invented by humans. This is a big deal, and not a good thing, at all. So (as it so often is) it’s up to our trickster god Leporidus to save the day. He begins his rescue plan by choosing a Herald–that is, a human who will embody the god on Earth. He selects hapless nerdy teenager Jay and, as it turns out, he has made an excellent choice. Since I know Ian personally (we grew up together through Talented and Gifted programs in junior and senior high school as well as the theatre programs in said schools), I can slap him a virtual yet hearty high five in glorifying the nerd in this world. Even with today’s “geek chic,” nerds are still the victims of bullying today, and actually the nasty insect takeover of Earth event in this novel is connected directly to the theme of bullying. What Healy does very well is illustrate real human beings, whether it’s the coming of age type of Jay/Jackrabbit here or Mustang Sally in his earlier works, or “normal” folks trying to deal with the extraordinary, as in yet other novels in the Just Cause universe. And I love that the female hero is adorably annoying–it’s so great that she’s not flawless, but we still love her. Thanks for the realism and the joy amid the tense action. Also, thank Heaven for an African-American protagonist hero. Usually I adore Healy’s Just Cause books without question, but I had a couple minor reservations about this one: a) why does Jay have to get all buff and huge when he transforms? Isn’t he a better Rabbit god herald by staying slight and quick? b) Bunny, Jay’s best friend, smacks of the stereotypical Gay Best Friend. In fact, he reminds me of the gay dancer friend in the 1984 movie Breakin’. maybe it’s the dance studio thing. Anyway… c) Jay turns real cheeky once he becomes Jackrabbit. he was pretty meek before. I’m not quite buying his snarky transformation. Maybe if he were already getting in trouble because of his wit and cheek, before he transformed? That way we can see exactly why Leporidus chose him, and his personality later would fit, etc. d) I hate to say it, as I love the ending, but I think it was a little too easily achieved. All of you, go out and read it and come back and tell me what you think. Bottom Line: Jackrabbit is a fantastic novel and I recommend it wholeheartedly. Sigh. Well these books are pretty awful. Noah is the official novelization of the the movie of the same name (screenplay by Aronofsky and Handel). The story follows Biblical figure Noah from the preface of him seeing his father killed by barbarians through his vision of cataclysm and subsequent construction of the Ark and the saving of all the animals, two by two. Ila’s Story is a novella/knockoff/something-or-other that retells the story in Noah but with much less detail and in the POV of character Ila. The Watchers are a cool concept (well everything here is a Biblical concept but you get what I mean), and seeing them in both their manifestations in this story is satisfying. It’s always interesting from a character study standpoint to delve into the complexities of psychological motivation in an old and/or archetypical character. 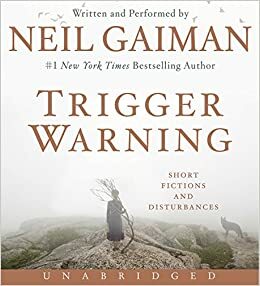 Having all the sturm und drang of Noah’s psyche as he struggles to keep control of crazy circumstances is a neat exploration of an old character. The addition of Ila makes for more strong female presence in a story traditionally male-centered. Yeah, that’s as kind as I can be. The fact of the matter is that the book is clunkily written, the women are only focused on motherhood and the men, nothing else, the violence is gratuitously graphic without furthering the story, and the villain is so stereotypical he’s actually kind of funny. Ila’s Story is actually even worse–there is no character development, no added richness due to the changed female POV, the writing is even more stilted and clunky, and this is even less okay with me as Ila’s Story smacks of being written for juvenile or YA readers. All readers deserve better, but especially young readers. Having said all this, I must admit I have not seen the movie on which these books are based. Would my opinion of the books change if I had? I don’t think so, as bad writing is just bad writing. Maybe we can blame the bad writing more on the screenwriters than the novelists? Any of you seen Noah and can add to the dialogue here? Bottom Line: I do not recommend either Noah or Ila’s Story. What a fun romp of a book! I read this in one sitting, because it moves so very very fast. This book reads like a tight, procedural detective TV show. -a wonderful array of tropes from Sherlockiana that we Sherlock nerds know, want and love. throughout, and does seem to have done his research. grating. The dialogue after the boat chase scene is nearly verbatim from The Empty House. not sure. Actually, I need to re-read it and get back to you on that. steampunk Transformers?! Really, Mr. Lovegrove?! Seriously?? Bottom Line: it’s mildly entertaining but not among the best of the Sherlockian pastiches. You can find a better. This review is a milestone for me–it’s the first novel I have gotten to review that I first saw in partial form in a class. It’s one of the pieces I worked with Bonham on during her tenure at DU, and I’m thrilled to see it not only complete, but polished and published. 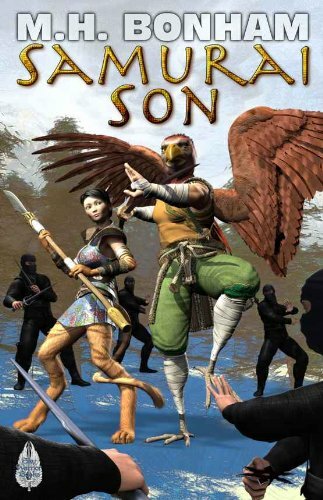 Samurai Son is a Japanese-flavored adventure fantasy, replete with tengu, dragons, ninja and of course, samurai. It’s a YA novel, which means that there are some scenes of violence and sexual situations, but it’s not all Game of Thrones. Samurai Son follows two protagonists, Akira and Kasumi, young samurai from different clans who end up working together to foil a plot to open a gate that will flood the world with oni (those are Japanese demons). It’s a good side-by-side coming-of-age plot, wherein our young male samurai is Luke-Skywalker-like frustrated with his training and his supernatural yet secret inner nature, and our young female samurai comes to terms with having witnessed an awful scene, and how and when family ties are important and when they need to be broken. The characters are interesting enough that a young reader has two heroes to look up to and interesting creatures to learn about that are different than the standard Celtic magic fare of most fantasy. There are some moments where the tropes turn into cliche, but the overall Japanese setting sort of makes up for that. There are other sections where I wish I could have worked on with Bonham before it got to print. The portrayal of the ninja is particularly cool, and the magic system well thought out, especially who wields magic when, and how magic use is sensed. And again, the setting is so refreshing, as well as being a perfect backdrop for a magical adventure story. Bottom Line: It ain’t perfect, but Samurai Son is recommended for teen readers especially.